Having a small bathroom can be a real pain in the neck. In fact, most people would simply like to tear everything down and recreate this room from scratch. 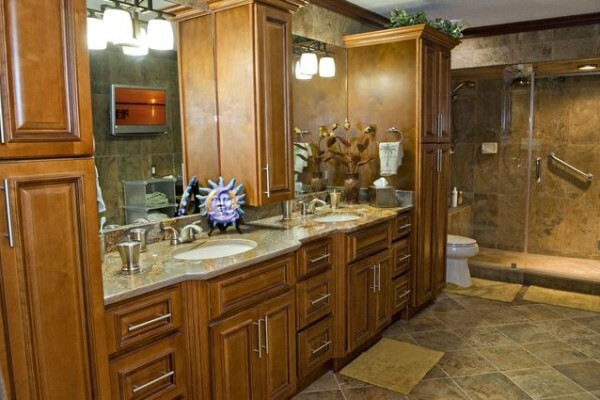 Most of the time, when people are redecorating their homes the common mistake that they make is they ignore the interior design of the bathroom. The tragedy of modern living is to compromise with way smaller space in big cities. So, if you have found a small apartment or house and are thinking of redecorating it, then there’s one thing that I would like to suggest you, please do not ignore your small bathroom. Most of the time, in my long career as an interior designer, whenever I have visited the place of my clients, I have found that the bathroom looks completely detached and almost like another world in comparison to the design and decor of the whole home.